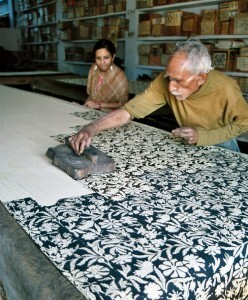 Block printing is one of the oldest techniques in the world to create patterns on fabrics by hand. This technique was in practice in olden days too and has survived a long way. Block printing basically is a Textile art where blocks of wood are carved by hand with a certain pattern to create a design on fabrics. Creating designs on wooden blocks needs master craftsmanship as the designs are first hand drawn on sheets and then transferred to wooden blocks and soft wood is used to carve designs on it. The transferred design is then intricately carved with hand with carving tools. The number of blocks for each design depends on the number of colors to be used in that particular design. If one wants to have three different colors inside a design, for example like a border design with flowers, stem and leaves, then one needs to carve three different blocks for the same design segregating the design in a way, that he has separate blocks for all the three elements to be printed in three different colors. 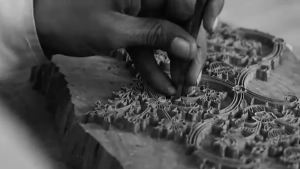 After the designs are carved they are manually checked that the design surface is even. The block will be a total waste if the design surface is not even from even one mm. Such is the accuracy, which one has to meet while carving them. 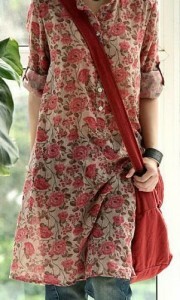 One can have Floral, Jaal or geometric or even abstract designs for block printing. Each block has a handle at the top for the printer to print onto fabrics. They also have 2-3 holes for air to pass and to absorb excess dye while printing. One also has to mark direction of the design to allow printer to know as to which way he has to print the design and to avoid any mistake. Undoubtedly its painstaking and a lot of patience is needed as one wrong force can completely destroy your whole block. 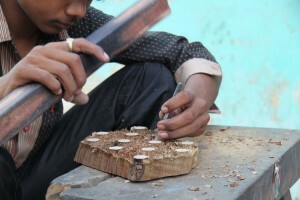 But luckily we have artisans who take so much pain and carve amazingly beautiful designs. 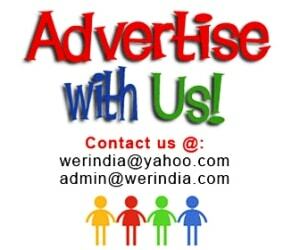 This art is mainly practiced in Jaipur, Madhya Pradesh, Gujarat, Uttar Pradesh in India. 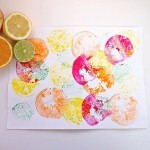 The wooden table used for printing has a thick layer of muslin or any other cotton fabric to absorb dyes while printing. Usually natural dyes were used to create designs, but nowadays synthetic dyes are used. 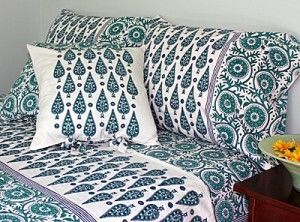 It is preferably done on natural fabrics like linen, cotton, silk as natural fabric absorb colors nicely. 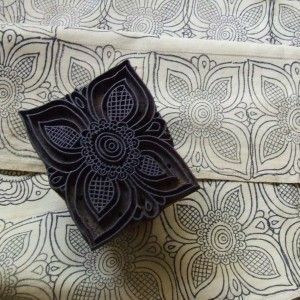 Block printing can be done using three different techniques known as Direct Printing, Resist Printing and Discharge Printing. 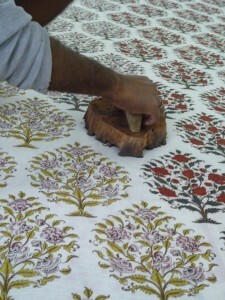 The printer spreads the fabric to be printed on the table and dips the block in dye and prints it on the fabric. He has to keep a check on the force applied to the block while printing and the amount of dye he taken on the block, as mismanagement of this calculation will lead to uneven lines and the fabric will absorb too much dye and the design will look uneven in every block pressed. Usually one printer prints only one design on the fabric, in this way every different design block is printed by different printer to avoid any manual mistakes while printing. Once the printing work is done, the fabrics are dried in sun and then washed with different color fixtures to fix the colors and to wash away the excess dyes if any. 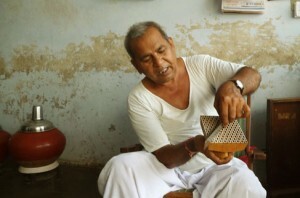 Nowadays, this technique is used to create apparels, home textiles, running fabrics etc. 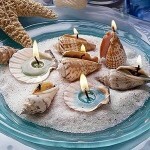 A time consuming art for sure, but this art is always special for the people who cherish handmade stuff. 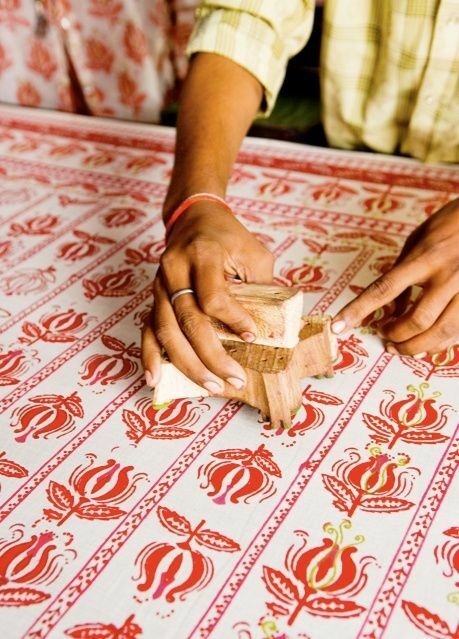 Because the beauty of block printing lies in the hands who create each piece perfectly.